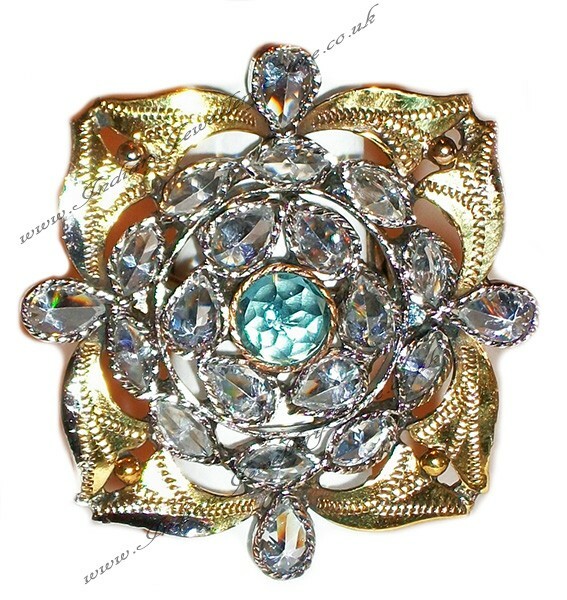 Indian ring in antique gold and sky blue. Set with American Diamonds stones. 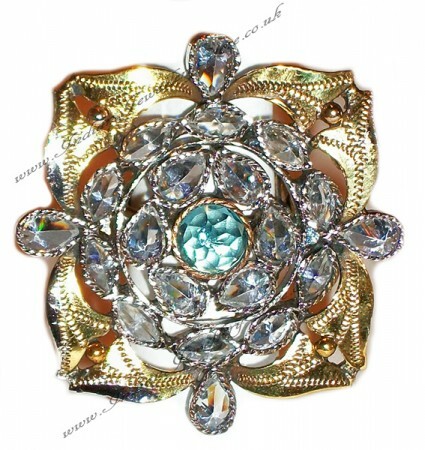 Large statement ring Width: 3-4cm aprox This ring is fully size adjustable, so one ring fits all sizes.